Microsoft might have calmed gamers' fears by confirming that the Xbox One won't need an "always on" internet connection to play, but the new console will still require Kinect to actually function. Naturally, this has sparked some concern that Kinect will be always watching you in your living room like some 1984-style spying device. But Microsoft promises this will not be the case. Henshaw continued: "It's not the case where you'll be able to remove the camera altogether. But you'll be able to put the system in modes where you can be completely secure about the fact that the camera is off and can't see you." Speaking at the London event for the Xbox One reveal, Harvey Eagle also confirmed that the console will require Kinect to actually work. "Kinect does require to be connected to Xbox One in all cases, yes," he said. Let's hope this means that the new Kinect is ready to take on any possible room shape or size. 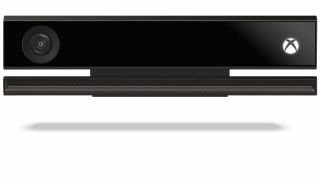 It was confirmed that the new Kinect will also be coming to Windows PCs in the future.